Tori was born and raised in the small town of Elmira in Upstate New York where she received her associate’s degree in Math and Science from Corning Community College in only three semesters. Graduating early allowed Tori to work for Disney World through the Disney College Program for five months where she discovered her passion for veterinary medicine. She then moved to North Carolina to earn her bachelor’s degree in Biology from Elon University. 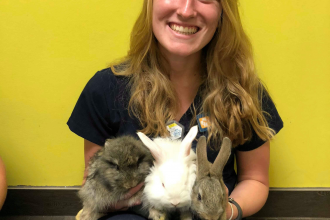 Unlike most, since she did not know she wanted to be a veterinarian until her junior year of college, she decided to postpone applying to veterinary schools until she had more animal experience. 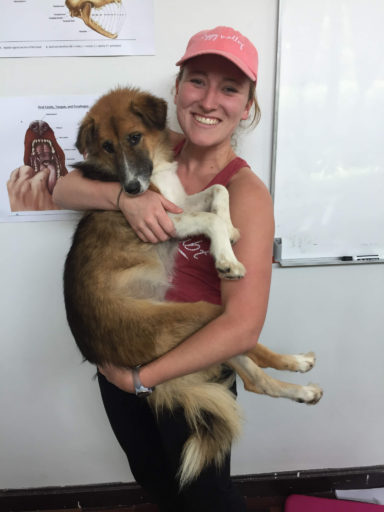 Therefore, after graduating she became a veterinary assistant at Banfield Pet Hospital where she quickly became the primary surgery nurse at the hospital responsible for monitoring pets under anesthesia. She has also interned with multiple large animal hospitals and volunteered at the local animal shelter. While Tori has done much traveling along the east coast of the United States over the years, she didn’t realize her passion for world travel until her Thailand trip with Loop Abroad. That is where she discovered that not only did she want to be a veterinarian, but she wants to travel as a veterinarian, hopefully with Loop Abroad! She is thrilled to have the opportunity to learn about exotic animals in a new country while gaining leadership experience. In her free time, Tori likes to go on hikes, dog sit, watch The Office, complete puzzles and play with her rabbit, Cletus.